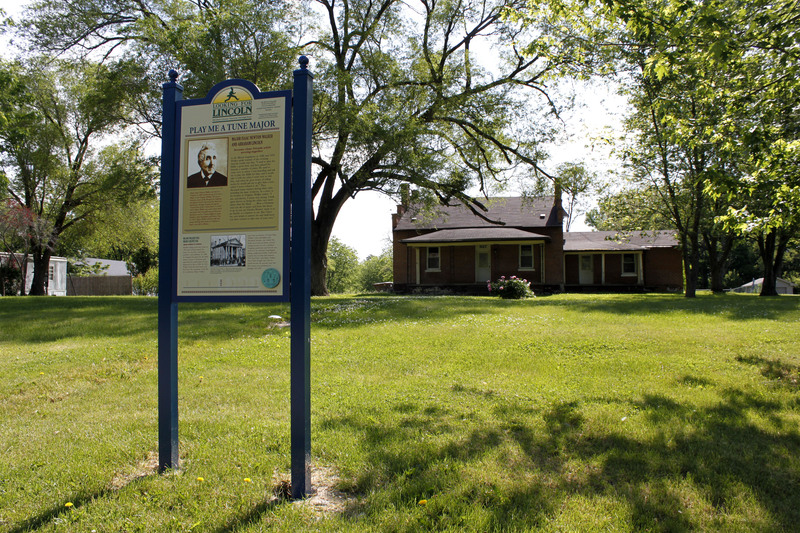 Through funding from the Looking from Lincoln Heritage Coalition with the support of the Abraham Lincoln Bicentennial Foundation, dedicated to perpetuating and expanding Lincoln’s vision for America and completing America’s unfinished work; the Lewistown WILD History Committee create two new historical markers in Lewistown that highlight the lives of a couple of its famous residents that have been associated with the history of Abraham Lincoln: Edgar Lee Masters and Major Newton Walker. This historic marker is placed in front of Walkers Historic home located at 1127 N. Main St. and highlights the friendship between Walker and Abraham Lincoln. 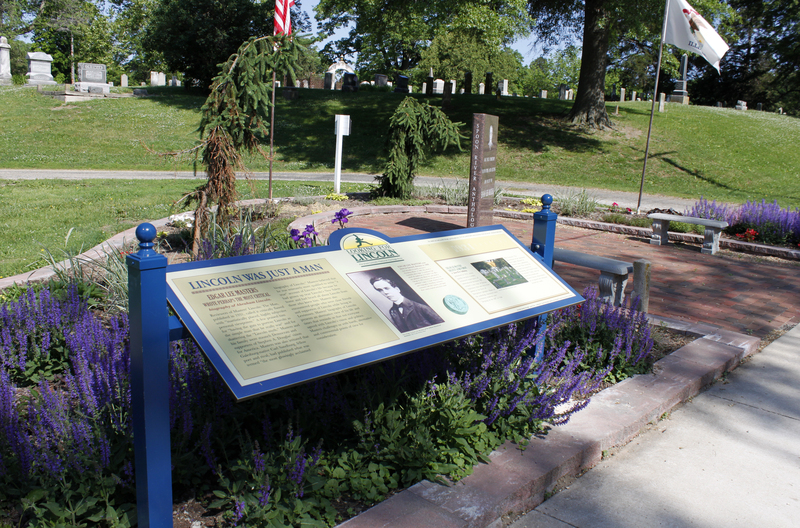 This historic marker is placed at the south entrance of Oak Hill Cemetery and highlights Masters “Lincoln: The Man” biography.